Home > Employment Law > What is the Whistleblower Protection Act? Posted on: August 17, 2018 By: Christopher Brown, Esq. The Whistleblower Protection Act (WPA) protects federal employees, applicants, or former employees against job-related retaliation or threat of retaliation. These protections are available for employees who have disclosed government illegality, waste, corruption or endangerment of public health and safety. An employee disclosing information that shows evidence of fraud, gross mismanagement, gross waste of funds, an abuse of authority, a violation of a low, or a substantial and specific danger to public health or safety is protected under this act. If you are a federal employee and believe you have been retaliated against for whistleblowing, you must first present a complaint to the U.S. Office of Special Counsel, which includes the precise ground for the whistleblower retaliation charge. If the Special Counsel finds a violation, then the Merit Service Protection Board is petitioned for a stay of the employment action. If you are not satisfied with Special Counsel’s actions, then you may file an appeal or request a review by an MSPB administrative law judge. If it is found that your retaliation was a violation of this act, you may be entitled to back pay, lost wages, compensatory damages, attorney’s fees, and reinstatement. Contact a Virginia Whistleblower Retaliation attorney for a detailed consultation. They are highly qualified and experienced to provide counsel for your retaliation case. The D.C. WPA forbids a supervisor from retaliating or threatening to retaliate against an employee of the D.C. government or an employee of a D.C. government contractor for disclosing evidence of gross mismanagement, misuse of funds, abuse of authority, a violation of law, a violation of contractual terms, or a danger to public health. If you are a D.C. government employee or D.C. government contractor and you believe you have been retaliated against for whistleblowing, you must prove that your report was a contributing factor in your employer’s personnel action taken against you. 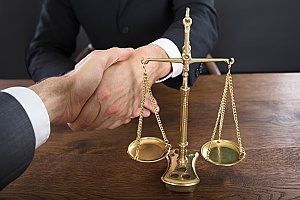 You have one year to bring a cause of action of the prohibited action by filing a civil claim in the D.C. Superior Court. If it is found that you have been retaliated against for whistleblowing, you may be entitled to injunctive relief, reinstatement, back pay, compensatory damages, attorney’s fees, and restoration of lost benefits. Reach out to a Virginia Whistleblower Retaliation attorney for assistance with your case. In Virginia, employees who report wrongdoing or abuse by state agencies or contractors are protected under this act. An instance of abuse could be substantial misuse, destruction, waste, or loss of funds. Under this Act, employers may not threaten, retaliate, discharge, or discriminate against whistleblowers. 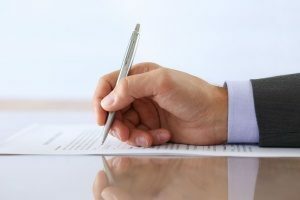 If you believe you were retaliated against for whistleblowing in Virginia, you may initiate a hearing with the state grievance procedure by filing a claim. You may also file a claim for a reward from with the Fraud and Abuse Whistleblower Reward Fund. Seek the counsel of a Virginia Whistleblower Retaliation attorney if you believe this applies to you. The Whistleblower Protection Act was established in 1989 to protect federal employees against retaliation for reporting agency misconduct. The United States has always fostered and embraced a culture of civic responsibility in order to protect and benefit the public good. Benjamin Franklin was actually one of the first American whistleblowers when in 1773 he exposed confidential letters showing that the royally appointed governor of Massachusetts had intentionally misled Parliament. Since then, whistleblowing has been promoted within American culture, but it was only in 1989 when it took the form of the Whistleblower Protection Act we know today. During the Cold War, billions of dollars were being spent to massively increase the military and national defense. There was little oversight from the authorities, which lead to some cases of gross misspending. One instance of this was the Navy being billed for $435 for a claw hammer and $7,622 for a coffee maker by private companies. By 1985, the four largest defense contractors working with the government had all been convicted of fraud. In response to this, Congress amended the False Claims Act of 1986 to try and combat the resurgence in criminal schemes. These amendments renewed and strengthened the protections offered to those who decide to disclose these criminal actions. Following these amendments, the Whistleblower Protection Act was signed into law in its own right in 1989. The WPA continues to be amended and advanced. In the mid-1990’s the WPA began to protect employees who were blowing the whistle in the healthcare field. Since 1987, over half of the whistleblowing recoveries have been related to the healthcare industry for reporting overbilling and kickbacks from off-label promotion of pharmaceutical drugs. In 2012, President Obama extended the act to protect federal employees who had access to classified information. 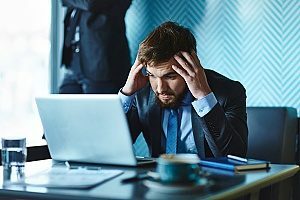 If you have reported the misconduct of your employer, there is a chance your employer could retaliate or try to intimidate you instead of taking the correct action to solve the problem. Your employer may increase pressure and discipline you on your job performance, cut hours, diminish your role within the company, demote you, or fire you. You can be unfairly placed under more scrutiny for your whistleblowing actions. If you have decided to follow in the path of our founding father Benjamin Franklin and made the decision to be a whistleblower, you should not stand for these negative actions being taken against you. The professional and personal problems that result from whistleblowing should not be tolerated and you should seek the help of a Virginia Whistleblower Retaliation attorney to make them right. It’s extremely important to note that the WPA is specifically designed to protect government employees at the local, state, and federal level. Employee’s working for government contractors also receive the same protections. If you are employed in the private sector, you should seek the legal counsel of a Virginia Whistleblower Retaliation attorney as your specific case may or may not fall under this act. Changes have been made to this act as recently as 2017, so it’s a prudent idea to reach out to a Virginia Whistleblower Retaliation attorney for the most up-to-date information regarding the WPA.